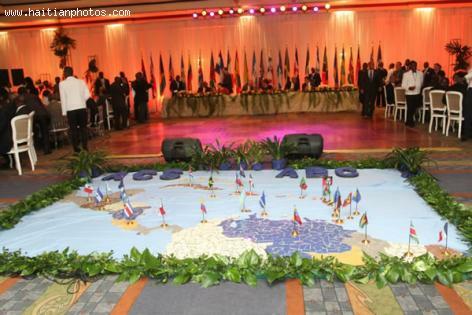 Here is a picture of the Hemispheric Summit that was held in Haiti in April, 2013. A dozen hemispheric leaders were present in Petion-Ville, Haiti to participate in the fifth summit of the heads of state and government of The Association of Caribbean States. Haiti for the first time received 10 presidents, including the leaders of Mexico and Colombia, have confirmed their attendance, said Haiti's Foreign Minister Pierre Richard Casimir. 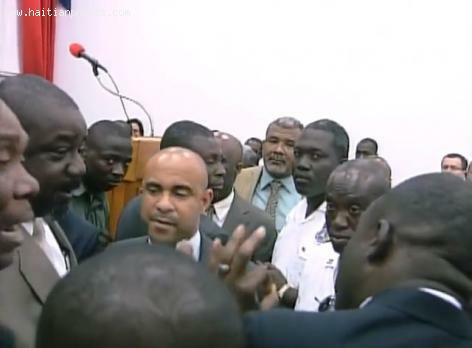 Here is a picture of Minister Ralph Theano having some difficulties at the Haiti Lower House. 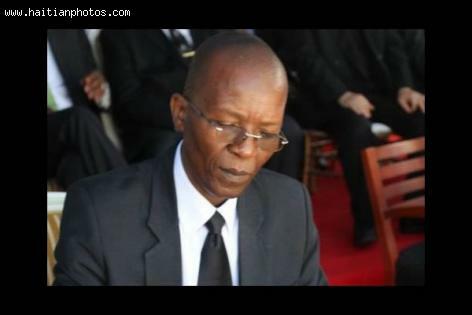 The Minister charged to manage relations between the Parliament and Executive, Ralph Theano was ordered by the President Jean Tholbert Alexis to leave the Haitian Parliament after several members of this body insisted that he leave. This is a picture of the minister Ralph Theano. He is the Minister Charged with Relations between the Executive and Parliament. Recently, Minister Theano got himself into trouble when he referred to some of the Deputies of Monoparental. 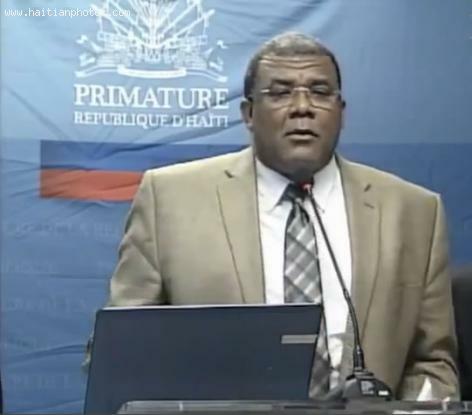 This statement did not seat well with many of the Deputies, specially those opposing the government of Michel Martelly. This is a picture of Former President of Haiti, Elie Lescot. A Haitian Mulato elite, born in Saint-Louis du Nord to a middle-class family. Haitian history would inform us that Elie Lescot completed his secondary education in the historic city of Cap-Haitian. Then, he moved to the city of Port-de-Paix where he became involved in the import export business. 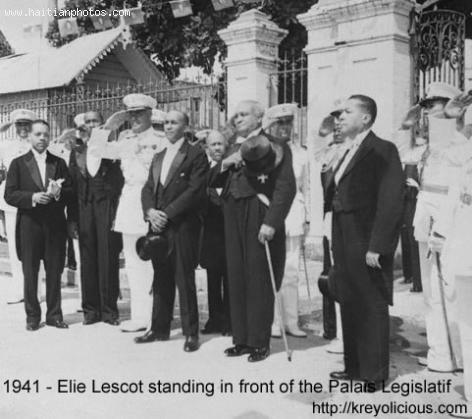 Elie Lescot put his feet into the water of Haitian politic in 1911. By 1914, he was elected to the Chamber of Deputies two years later. 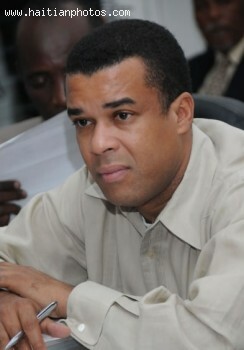 Here is a picture of Mr. Nehemie Josephwho was chosen to represent the Haitian parliament at the CEP. Nehemie Joseph, Pierre Simon Georges an Mary Clunie Dumay are the three names submitted. 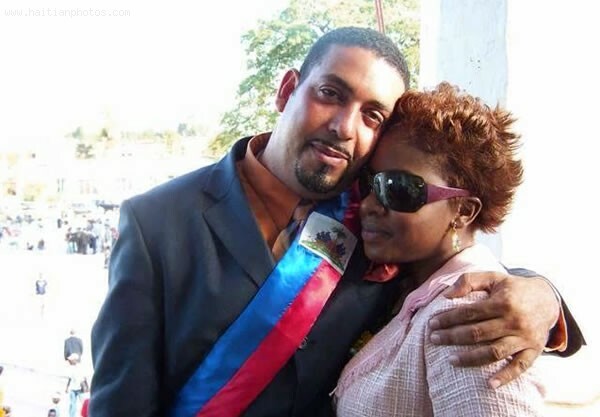 Here is a picture of the Haitian parliament Arnel Belizaire who is known to have any problem expressing himself. He usually uses whatever is available to make sure he makes his point. 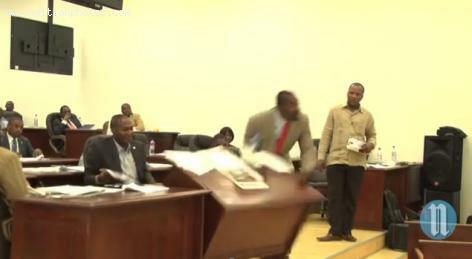 In this instance during a session at the Haitian parliament, he threw a total of three desks across the room to show his non satisfaction about a recent decision taken. 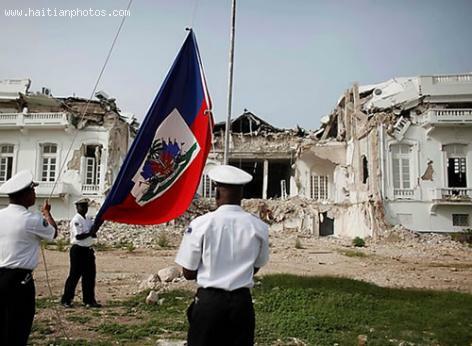 Here is a picture of Haiti National Palace following the 2010 earthquake. The National palace was testroyed, along side of many other government buildings. The Haitian government was unable to operate. The National Palace was designed in 1912 by Georges H. Baussan (1874-1958), It took on the tradition of French Renaissance architecture. The Haitian Embassy located in Washington, D.C. is the diplomatic mission of the Republic of Haiti to the United States. 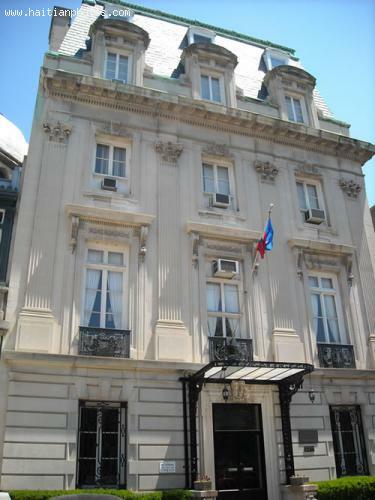 Here is a picture of the Embassy of Haiti, Washington DC.